What are the top landmarks in Singapore? Enjoy a trip to Universal Studios Singapore™, a well-known attraction in Resorts World Sentosa. Amble around this vibrant area's marina and enjoy its top-notch restaurants. 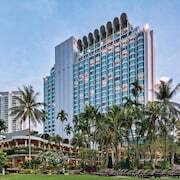 Spend the day shopping for the world’s biggest brands at one of the most popular shopping destinations in Asia. Merlion is a well-known landmark worth seeing in Central Business District. Stroll along the marina or experience the fascinating museums in this vibrant area. Orchard is a neighbourhood that welcomes all visitors. The neighbourhood’s architecture and festivals are just a couple of its charming qualities. Broaden your horizons with some local shopping. Sample traditional food and visit important historical sites in on of the oldest Chinatowns in the world. The winding streets at the heart of Singapore’s Indian community are full of intriguing smells, sounds and colors. Kampong Glam is a welcoming neighbourhood that’s popular for its cafes and restaurants. The neighbourhood has many appealing features, among them its architecture and rich culture. Broaden your horizons with some local shopping. 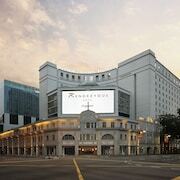 The Novena neighbourhood welcomes visitors, with its convenient options for restaurants. Broaden your horizons with some local shopping. Bencoolen is a neighbourhood that welcomes all visitors. The neighbourhood’s architecture, friendly people and small-town feel are just some of its charming qualities. Broaden your horizons with some local temples. 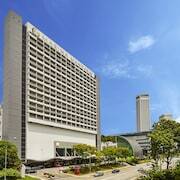 Hotels in Singapore consistently deliver in terms of superior service and excellent value. 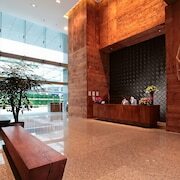 Conveniently, many of the tourist-friendly Singapore hotels are within a stone's throw of the main attractions. 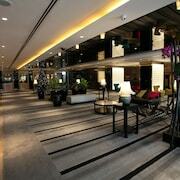 Visitors to the Lion City will be spoiled for choice with the amount of top-notch five-star hotels. On a shoestring budget? Don’t despair, as there are plenty of great-value four-star hotels for you to choose from. As one of the four ‘Asian Tigers’, Singapore is a leading financial centre and the city’s many business hotels reflect its popularity as a corporate destination. Singapore is a giant melting pot of Chinese, Malay, Indian and Western cultures and as such makes for a very interesting holiday destination. For those wishing to inject some culture into their holiday, The Asian Civilisations Museum is a fantastic place to visit to learn about the pan-Asian cultures that make up this multi-ethnic part of the world. As a former British trading post, Singapore still bears the hallmarks of colonialism, most evidently in its rich cultural and architectural legacy. Wander the streets and you will see the eclectic range of architectural influences, ranging from traditional vernacular to more modern Brutalist aesthetics. 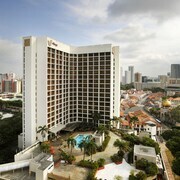 In the city centre, many luxury Singapore hotels slip seamlessly into this stylistic mix. 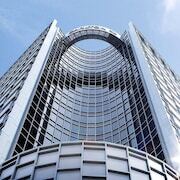 One of the main tourist attractions in Singapore is the vibrant and lively Orchard Road. This premier shopping street is flush with what seems like an endless amount of arterial shopping malls. Designer fashion emporiums such as Louis Vuitton, Prada and Gucci sit side by side with high street names like Zara, New Look and Forever 21. Not confined to retail, this part of Singapore is home to an exciting mix of upmarket restaurants, cafes and trendy nightclubs and bars. Flanked with a multitude of spa hotels, this is a popular spot for the well-heeled tourist. Known as the food capital of Asia, Singapore has a mouth-watering array of dishes to suit every palate. With Hawker Centres around every corner, particularly in the Arab Street District, you’re never far away from a tasty treat. Local favourites include char kway teow, a mixed noodle dish of Chinese sausage, cockles, prawns and soy sauce, guaranteed to whip your taste buds into frenzy, and the nauseatingly-named Fish-Head Curry, which does exactly as it says on the tin (watch out for the eyeballs…). The less adventurous visitor may find gastronomic solace in the Singaporean staple Carrot Cake. Containing absolutely no carrots, this traditional dish is made from radish stir fried with egg and seasoned with spice. Finally, who needs Bovril when you can have Bak kut teh or pork rib tea? Usually served with a side of white rice, this tasty dish also comes with youtiao (strips of fried dough) which are great for dipping – Yum! 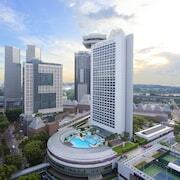 Find your perfect hotel in Singapore to suit your budget with Expedia. If you like Singapore then why not explore some of Asia's other magnificent cities? 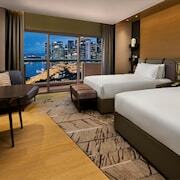 Book great deals on hotels in Hong Kong and Taipei hotels with Expedia. Explore Singapore with Expedia's Travel Guides to find the best flights, cars, holiday packages and more!